Your smile is the first impression you make on someone else. If your smile is yellowed or dull, it can have a negative impact on your self-confidence. Over-the-counter teeth whitening products may help to some degree, but not all discolorations can be remedied with these products. 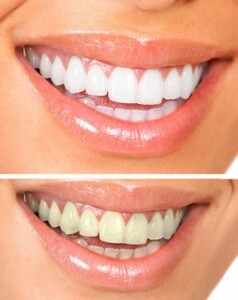 Some stains require professional whitening procedures such as Zoom! which can give you a healthier, whiter smile in just one visit. Cosmetic Bleaching should be done in consultation with your dentist to determine the cause of the tooth discolouration and to determine whether a bleaching treatment will have the desired result you’re looking for. As teeth bleaching involves penetrating the enamel surface of your teeth, bleaching can sometimes have uneven results, especially where crowns, fillings, root canals, or bridgework are involved. Consulting with your dentist to see if what type of whitening treatment would be best suited for you.